Not everyone likes the idea of a toxin in their Body and that is ok. Everyone should feel 100% comfortable with what they are putting in their body and what could be more natural than their own blood? Platelet Rich Plasma therapy is your collagen boosting solution. Whats PRP (Platelet Rich Plasma)? 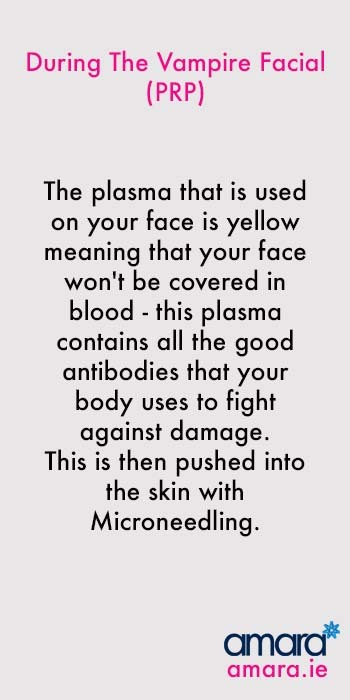 ng that along with with microneedling your own plasma taken from your blood is needled back into your face. Like her sister kim and 1000s of women before her Kourtney is going for a natural approach to boosting her collagen and looking younger. You may not see this as natural however this treatment uses your blood and antibodies from your own body to fight against ageing and repair damage. Also known as the Vampire Facial – PRP is done using micro needling. At Amara we use the advanced Microneedling device the Rejuvapen we allows us to target deeper or lighter where we need to. Step 1: We cleanse the face and apply numbing cream. This takes about 15 minutes to work. Step 2: While the numbing cream is on a sample of your blood is taken from your arm. This is then put into a centrifuge which spins it at a fast rate for about 10 minutes. This separates your plasma from blood. This is why it is sometimes known as a vampire facial, vampire facelift, dracula therapy or Blood facial. The plasma that is used on your face is yellow meaning that your face won’t be covered in blood – this plasma contains all the good antibodies that your body uses to fight against damage. Step 3: Next we microneedle your skin to open channels into the skin – this we allow the plasma to go deeper.. Step 4. The plasma is added to your skin and then Microneedles again. This pushes the Plasma deeper into your skin. 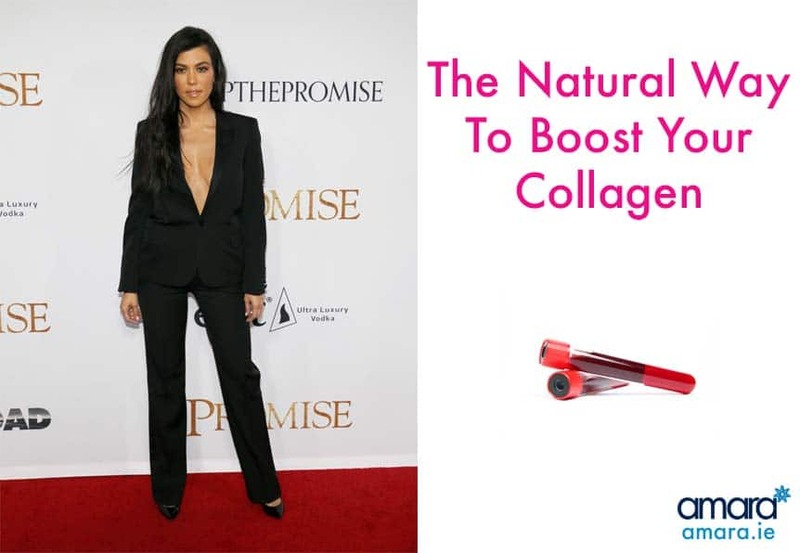 Microneedling on its own encourages your collagen to renew itself and heal damage, adding your own plasma gives a bigger boost to skin that is even more effective at rejuvenation. Step 5 : If necessary plasma can be injected into your face in areas such as under eye hollows. This is simply to boost rejuvenation. Like Microneedling there is little downtime with PRP. On The day of the treatment you will experience redness – this will calm down over the next day or 2. It is essential you stay out of the sun while healing. Your face should be kept clean for about 24 hours after the treatment -we recommend that you wash your makeup brushes and sponges in preparation of wearing make up the next day. This ensures your face remains clean. We recommend a minimum of 3 treatments for optimum results. Curious about PRP? Book in to find out if it’s suitable for you!